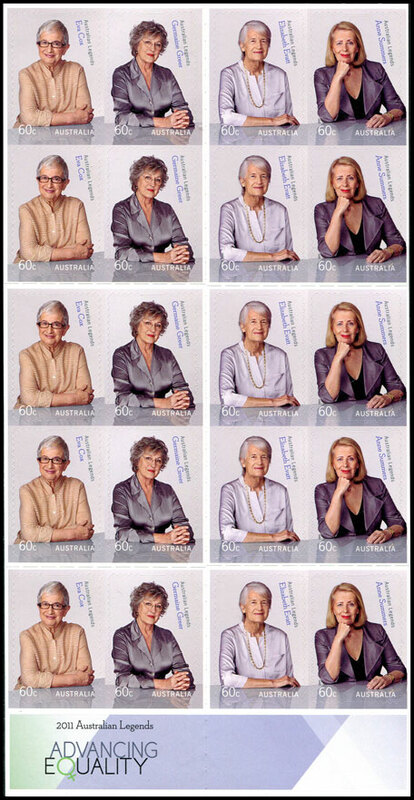 Four eminent women renowned for their role in advancing gender equality are this year�s Australian Legends. 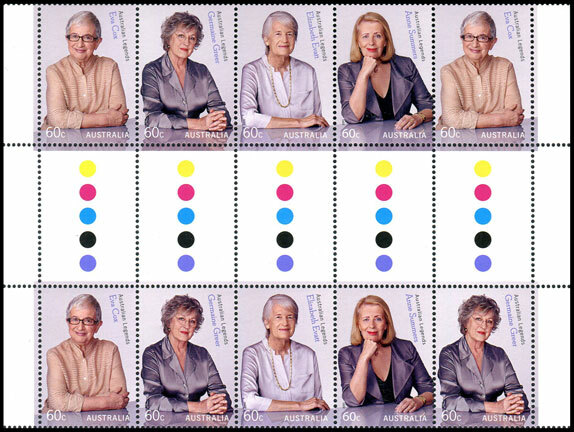 Featured on the stamps are change advocate Eva Cox AO, former judge Elizabeth Evatt AC, journalist and author Anne Summers AO and academic and author Professor Germaine Greer. 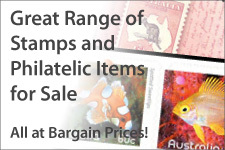 The gummed stamps are issued in strips of four within a sheet of 50. 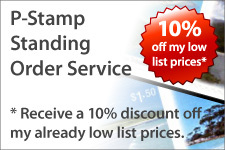 There are a number of arrangements of the stamps in the sheet - see the image below. The gutter strip is unusual - the first four stamps on both sides is the same, while the last stamp is different. This is the first time this has happened. 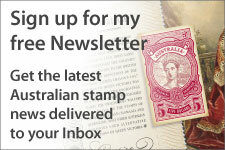 This issue was produced in sheets of 50 stamps.